I still have four more grunts to complete the unit and Lord Tartarus to lead it into the fray. 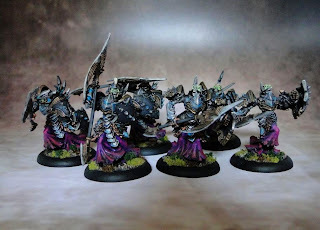 I like these minis, the fact that they are multi part means that it's relatively easy to have several different positions. 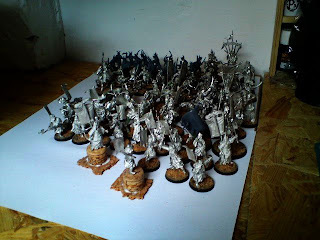 Lots of Lotr minis, some really nice sculpts (Khandish chariots, Abrakhan Guard, many Easterlings and a few others). I will probably start with the Khandish infantry so expect an update soon. And to finish off, here's a song from a band which name is somehow related to the color scheme on my Bane knights.